INLEAD - Job Oriented Program | 100% Campus Placements | MBA and PGDM Programs: How Green Is Our OT? 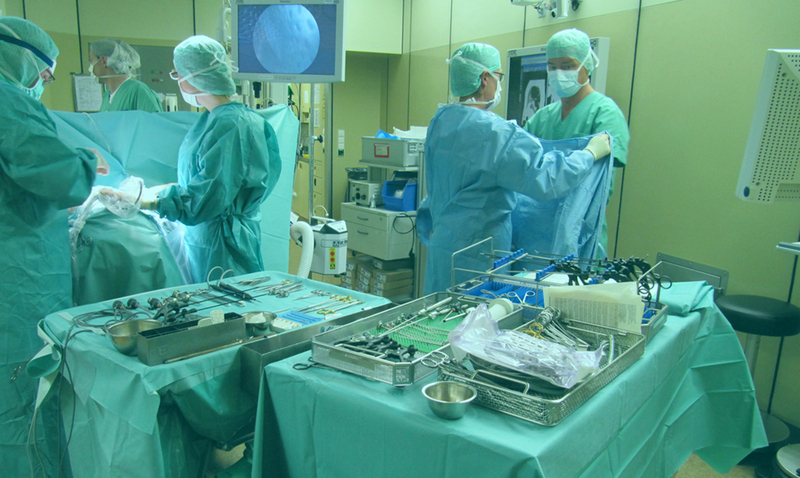 The operating room is one of the largest procedures of waste. Studies have estimated that about 20-30 percent of the total waste generated by the hospitals comes from the OT. So, to reduce this hospital must identify a set of best practice, which can along with the reduction of waste also reduce the energy and worker and patient exposure to chemicals. These days patient who seek medical treatment are mostly concerned with the quality and safety of treatment. They want healthcare providers to be preferably accredited by a recognized international organization. International accreditations create a kind of faith in the particular organization who is having them. As a part of the process, Bureau Veritas conducted independent audits and assessments of the hospitals that focused on prevention of surgical site infections, safe anesthesia, safe surgical teams and equipment and a measurement and quality assurance mechanism. We have heard about several incidents in our past, where patients have suffered due to lack of safety measures in OT. While surgical procedures are intended to save lives, unsafe surgical care can cause substantial harm. The Green OT certification project is a first in the world certification and also the first “Make In India” certification protocol developed by Bureau Veritas in conjugation with multiple hospital stakeholders like clinicians, bio-medical, Green House Gas surveyors, administrators etc. Green Operating Theater is a certification that will rate the facility as per its quality of safety and medical amenities. It is an initiative to promote sustainable healthcare delivery and creates a benchmark for performance in OT across India. The idea is to make operation theatres eco-friendly and safe using green measures. The certification will establish uniformity in the safety standard in operation theatres and minimize the risk of infections in OTs. • Green connotes cleaner technique using modern technology and process with a sensitive approach to environment. • It will also ensure that emission of carbon dioxide; infra-red rays and radiations are within permissible limits. Some other key measures include controlling of temperature by measuring heat, coolness and humidity in operation theatre thereby addressing the issue of perspiration, which is one of the causes of infection in OT. As we all know how global warming is destroying our beautiful planet earth. And, Green OT concept is a very good initiative by hospitals to do on their behalf to cut down their contribution towards global warming. To name a few hospitals like Max Super Specialty Hospital Shalimar Bagh, Artemis Hospital Gurgaon, Fortis Hospital are all Green OT certified hospitals. Let’s join our hands together to save our planet. I believe, that every tiny bit counts and we can still make this planet a beautiful place to live .